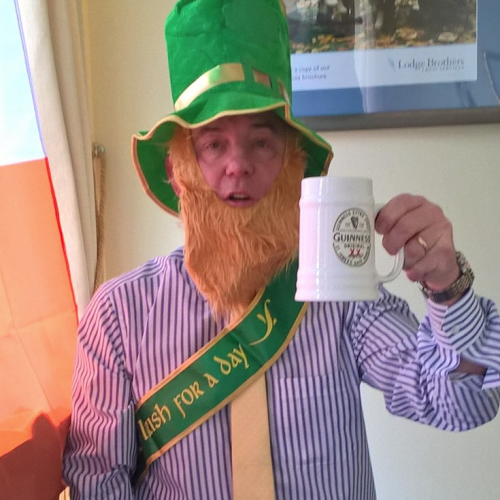 Lodge Brothers Addlestone – Irish for a Day! Ken our branch arranger got into the Irish spirit this month by dressing the branches windows for St Patrick’s day. Lodge Brothers have always been there to support their local communities, so thank you to Ken for going the extra mile to support the Irish on their special day! and well done to the Irish Rugby boys on Saturday in Dublin!